WOMEN MIGHT NOT BE ABLE TO FIND THEIR KEYS, HAIR TIES, OR SH - ProudMummy.com the Web's Community for Mums. 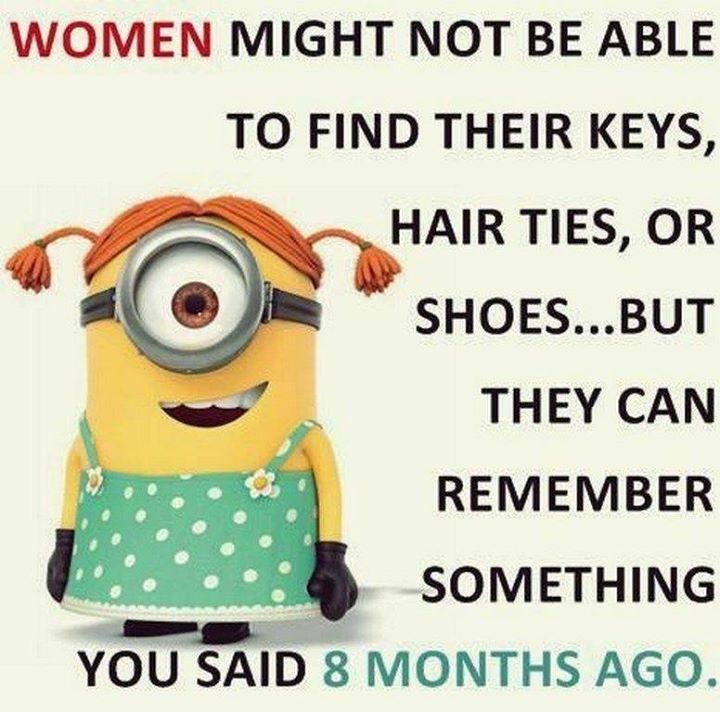 WOMEN MIGHT NOT BE ABLE TO FIND THEIR KEYS, HAIR TIES, OR SHOES... BUT THEY CAN REMEMBER SOMETHING YOU SAID 8 MONTHS AGO.